There's so much to love about this book. At first glance, it may seem like a typical girl meets boy story, but it's so much more. I'll get into what really won me over, but first let me give you a quick synopsis. A bad breakup left Abbey Ross living on her couch with too much time on her hands. Reliving the public humiliation of finding out on the big screen that her fiance was cheating on her dealt her a huge blow. But out of that incident is born her idea to attend culinary school and then open her own bakery in Oakland. With her bakery a success, her best friend since high school, Bendrix, pushes her to get back out on the dating scene; when she doesn't take enough of an initiative, he does it for her. By all accounts, Samuel Howard is a catch. A grown man with an adult job and his own house, he's definitely got a leg up on other men Abbey has run across. Polite and attentive, he's the man Abbey has dreamed of for so long. She's hesitant to get involved with him, but throws caution to the wind and dives head first into a relationship with the successful attorney. Now that you have a basic idea of the story line, let's get into why I loved it so much. Abbey's father is a famous pianist. A jazz master, he's named all of his kids after other jazz musicians. Before I even knew this, I wondered what the history of Abbey's name was. My first thought was, oh, like Abbey Lincoln, since most of the time the name is spelled without an e (i.e., Abby). Reading further confirmed this, so then I was excited as I stumbled upon more of Abbey's siblings. Her father was quite prolific in the baby making department and, as such, has 13 children in total. Each time a new offspring was mentioned, I immediately started trying to figure out which musician they were named for. As a jazz fan, I adored the part of the story. Another thing I really liked was Abbey's unconventional family structure. Papa was definitely a rolling stone, but insisted that his children and their mothers know each other. I was fascinated by Abbey's relationships with her father's ex-wives and how each one played a different role in her life. It's almost like the joke about women creating the perfect man from several different men. By gifting Abbey with the different stepmothers, Swindle created the perfect mother for her. To have the ability to turn to this person for a specific need and another one for a different need just sounds absolutely amazing. I was way too invested in Abbey's story. How do I know this? Any time I start talking to characters in the book like they can hear me, I know that I am doing the absolutely most. 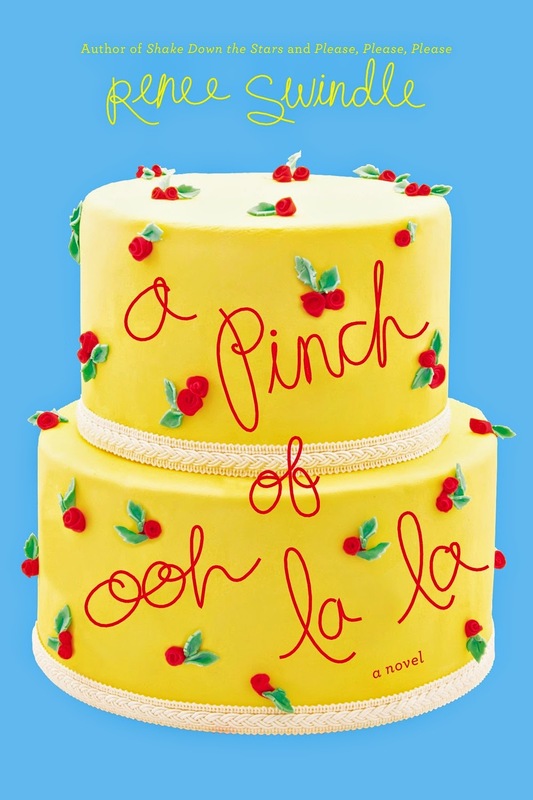 At the heart of it, A Pinch of Ooh La La is a love story made up of the perfect ingredients of family, friends and self-discovery. Renee Swindle definitely has another hit on her hands. Disclaimer: A copy of the book was received from the publisher, opinions are my own.